Kirsty Manners is trying to make it as a model. As the in-house model for the Ivano King fashion house and girlfriend of Ian King, the man behind the label, she believes she is well on her way. But Kirsty is found dead in her flat one Sunday afternoon and D. I. Angela Costello is called to the scene. First enquiries center on the local gym where Kirsty, her dangerous ex-boyfriend, Darren Carpenter, and her jealous flatmate, Sandra Hodges, worked out. But things are more complicated. Ian King is considered to have lost his edge. Why then is he so buoyant about his latest collection for London Fashion Week? What about his new girlfriend, Eleanor Chandler, who openly admits to having a reason to wish Kirsty dead? Behind the gleaming smiles and flawless makeup of the glamorous fashion world, Angela's enquiries uncover theft, drug-addiction, prostitution, and imprisonment--and suddenly her own life could be in danger. Mystery with a touch of glamor. 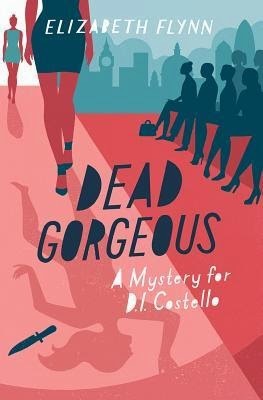 Like so many other reviews that you might read, I'm going to say that if you're a fan of the old fashioned Agatha Christie style whodunit, you're going to most likely be a fan of this book. While the book starts out with even the reader in the dark, it doesn't take long for the pieces to start coming together. This doesn't mean that you know who did it! Sometimes my opinion changed from chapter to chapter. If you're looking for a great mystery read (with other books in the series) that doesn't have a lot of eww gross, this may just be the book for you.